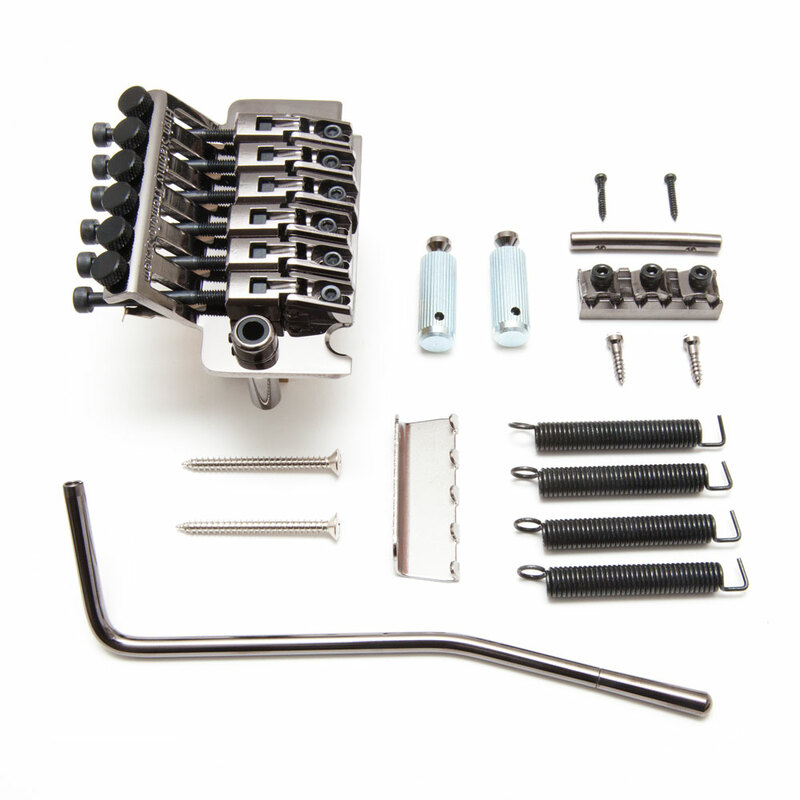 Gotoh's GE1996T is their take on the 'Floyd Rose' double locking tremolo and it is considered one of the best tremolos available, with ultimate tuning stability provided by the locking nut, locking saddles and fine tuners. This bridge features steel saddles for clarity and response with a brighter tone than brass, they feature a slightly curved top to provide hand comfort while playing. The studs can be locked in to their body anchors to give the most transmission of sound to the body. The tension holding the tremolo arm can be adjusted via a set screw in the bridge. We have the GE1996T tremolo available in two different sustain block depths, the standard 40 mm and a shallower 33 mm for thinner guitar bodies.